Walzthöni, 2-room apartment 75 m2, on the ground floor. Tasteful and cosy furnishings: entrance hall. Walk-through room with 1 double bed. 1 double bedroom. Living/dining room with 1 sofabed, dining nook and satellite TV (flat screen). Open kitchen (4 hot plates, oven, dishwasher, microwave). Shower/WC. Large garden. Barbecue, sitting area. Beautiful view of the mountains. Facilities: Internet (WiFi, free). Please note: suitable for families. Non-smokers only. 1 small pet/ dog allowed. Small storage for skis and bikes in the apartment. 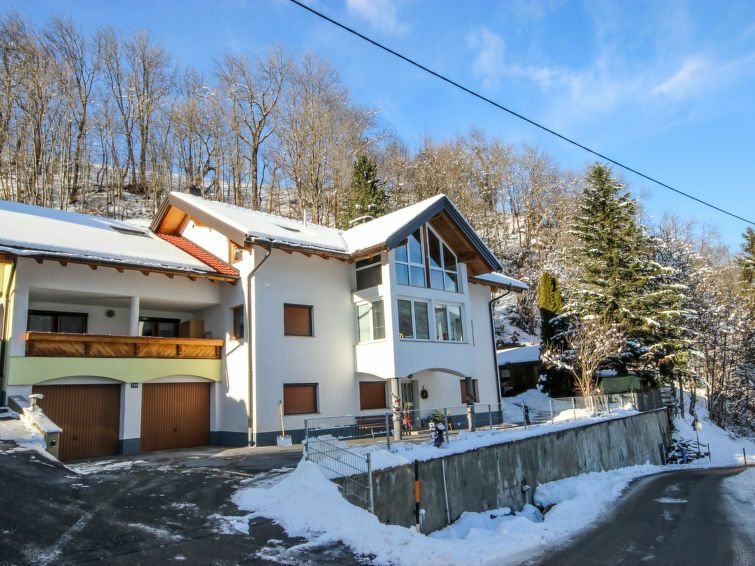 Wenns 9 km from Jerzens/Hochzeiger: Child friendly, cosy single-family house. 900 m from the centre of Wenns, in a sunny, elevated position. For shared use: lawn for sunbathing, beautiful garden to relax. Patio, arbour, barbecue. Bread roll service (extra). Motor access to the house. Parking (for 2 cars) at the house. Shop, grocery, restaurant, café 850 m, 10 minute walk to the centre, bus stop 900 m, bathing lake Pitzpark 1.2 km. Tennis 1.2 km, riding stable 5 km, walking paths from the house 10 m, gondola lift 9 km, ski rental 9 km, ski bus stop 900 m, cross country ski track 4 km, children's playground 1.2 km. Nearby attractions: Outdoor Park Area47 20 km, Museum Kaunergrat 9 km, Alpine-Coaster Imst 13 km. Well-known ski regions can easily be reached: Jerzens-Hochzeiger 9 km, Hochimst 13 km, Pitztaler Gletscher 29 km. Hiking paths: Naturpark Kaunergrat 8 km. Please note: car recommended. Free ski bus service to the ski region Jerzens-Hochzeiger and Pitztaler Gletscher. Wir hatten einen schönen Urlaub mit Hund. Die Vermieter waren überaus zuvorkommend und sehr herzlich. Die Lage ist perfekt zum wandern aber auch gut gelegen zwischen diversen Skigebieten. Alles in allem war es ein schöner Urlaub. Wir kommen wieder. Og så den helt fantastiske natur. Vil gerne benytte lejligheden igen. Sehr freundlicher Empfang, Wohnung sauber, mit allem was man so braucht. Hilfsbereite und aufgeschlossene Vermieter. Wir kommen gerne wieder.